1. If you don't have too much time to put make up on your face in the morning, use this and you won't look like a zombie just got up out of the bed. 2. Can also be used by girls whose boy doesn't like make up on their face: it's just a natural effect they wouldn't even notice. 4. You can wear it everywhere: at school, at work, at a party, at church or out with friends. However, you have to choose the right one or people will see green spots on your face, pinched bags under your eyes or weird orange pimple all over your chin. But don't worry, I'm here to help you. There are three points you must take into account before deciding which concealer suits you the most. People often make a mistake choosing the concealer depending on the colour of their skin. Remember: this is not foundation, otherwise it would have been called foundation, wouldn't it?! Well, you should concentrate on what you want to cover. 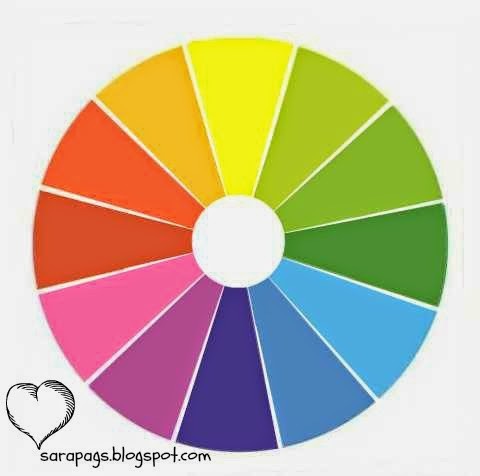 There's a little trick that may helps you in your choice: Newton's colour wheel. You just have to select the colour of the blemish you're going to cover, and take the concealer whose colour is right opposite the one you have selected. In fact, it will nullify the original colour. Then, you can put the foundation on, in order not to seem a cow. For example, if you want to cover pimples (which are reddish), you have to use a green concealer. Otherwise, if you didn't sleep very much and you have violet bags under your eyes, you should choose an orange one. Got it?! As probably you already know, there are different kind of concealer. There is the LIQUID one, which is perfect for the bags under the eyes. In fact, if it's too dry, it underlines the natural wrinkles everyone has there. Make sure not to apply it all around the eye: it wouldn't actually cover the darkness you have. Then, there is the CREAMY one, which is the right one for spots and redness. Eventually there's one texture, mostly unknown, which is quite SOLID, and is definitely the one which conceals pimples the most: these blemishes are used to warm up the parts of your face where they're placed, making the creamy product melt, going everywhere. It's important for you to look a little around the web before buying a concealer, just to check others' opinions, or ask for advice to your friends. That's because besides the colour and the texture, it also has to last for a long time and to cover your imperfection as well. Well, that's all for today. I'm sorry for the lateness, but I had to study a lot.